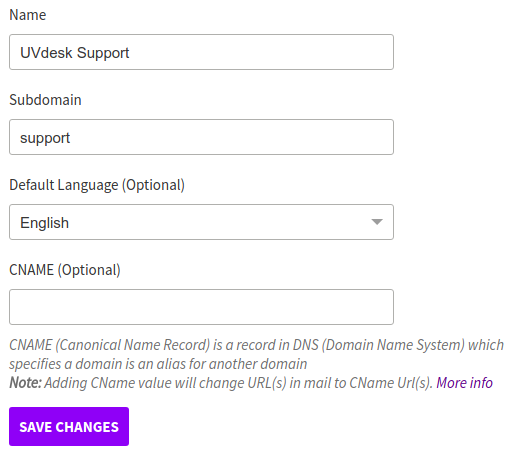 Under "General" tab, the owner can upload Square Logo, Wide Logo, Website Status, choose Brand Color, enter Name, Subdomain & enter CName (Canonical Name Record). In the Layout, the owner can select their preferred layout and in that style folders and articles will be displayed to the customer. The owner can also select "Ticket Create Option" & "Login Required To Create Tickets". 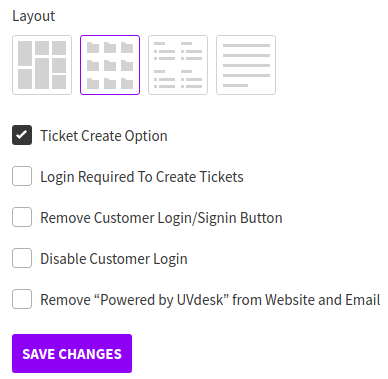 By selecting "Ticket Create Option", the user can see the button of creating a ticket on the front end and by clicking on "Login Required To Create Tickets", the customers have to sign in before creating any ticket. 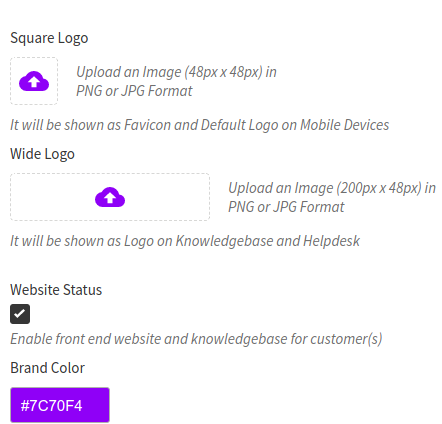 The owner can Remove “Powered by UVdesk” from Website and Email so that things could be set as per owner's requirement. Under the "SEO" section, the owner can also set Meta Description and Meta Keywords. 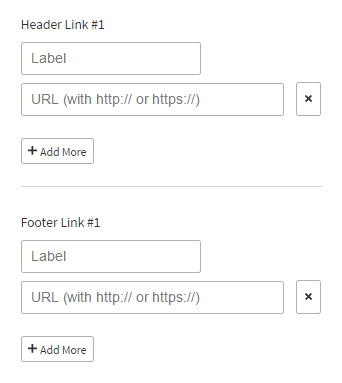 Under the "Links" tab, the owner can enter the label and URL of Header Link and Footer Link. 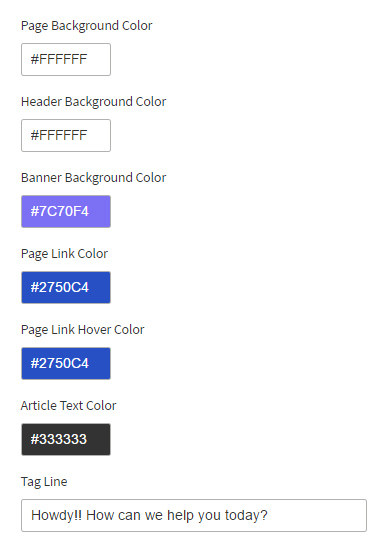 The owner can add multiple Header and Footer Links under this tab. 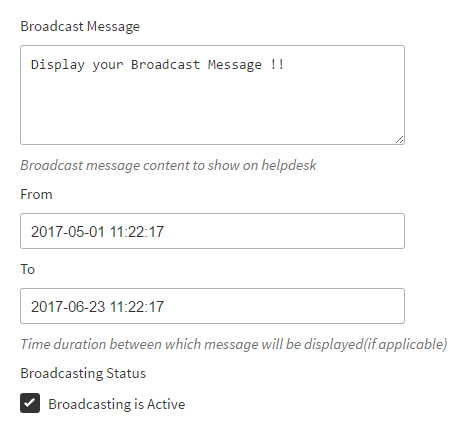 In "Broadcast Message", enter your Broadcast Message, select From & To Date and enable Broadcasting Status. 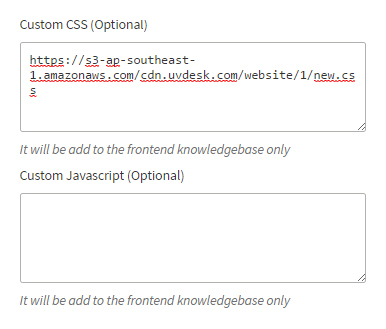 The Broadcast Message will be displayed on your Front-end website and Knowledgebase for the customer(s) for example- registered_domain_name.uvdesk.com/en like the below image.